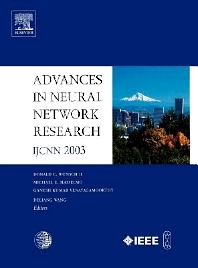 IJCNN is the flagship conference of the INNS, as well as the IEEE Neural Networks Society. It has arguably been the preeminent conference in the field, even as neural network conferences have proliferated and specialized. As the number of conferences has grown, its strongest competition has migrated away from an emphasis on neural networks. IJCNN has embraced the proliferation of spin-off and related fields (see the topic list, below), while maintaining a core emphasis befitting its name. It has also succeeded in enforcing an emphasis on quality. Welcome to the Special Issue: The best of the best (D.C. Wunsch II, M. Hasselmo, D. Wang, G.K. Venayagamoorthy).